The Louisa County Public Schools District completed the installation of a district-wide Vicon Valerus video management solution that encompassed its six school buildings and connected nearly 400 cameras. Campus security is a serious business. It’s almost impossible to watch the news or scroll through social media these days without spotting a story about violence or hate crimes being perpetrated on school grounds. According to the Center for Homeland Security and Defense, 97 shooting incidents occurred on K-12 campuses in 2018, up from only 44 in the year prior. The FBI says nearly 280 hate crimes were reported in 2017 to by select campus police departments, up from 257 in 2016. Having the right security solutions in place to monitor, and ideally deter these types of incidents, is integral. 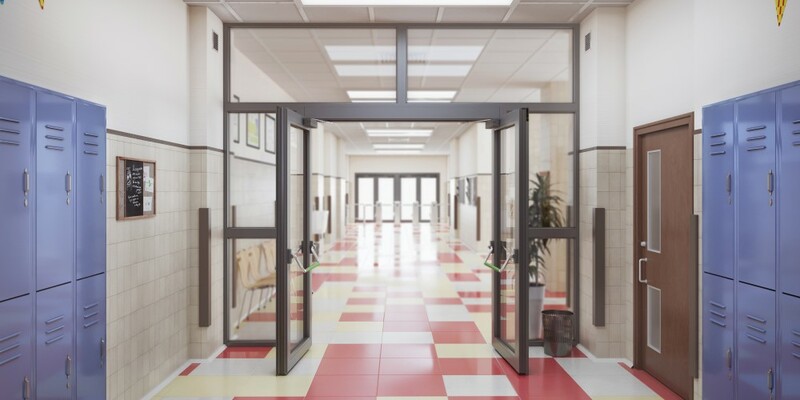 From proper video surveillance to effective visitor management, a number of factors must be considered when securing a school campus. 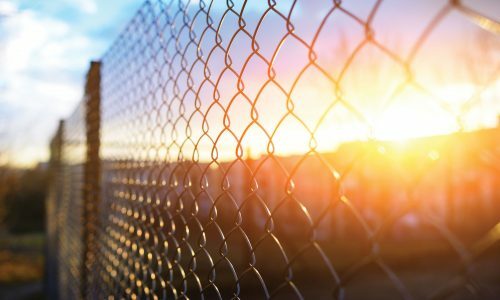 What better way to gain inspiration than to discover how schools have successfully implemented these various security solutions? Following are five examples that cover all aspects necessary to ace school security. Auburn University is home to more than 30,000 undergraduate and graduate students and approximately 1,300 faculty members spread out over a nearly three-square-mile campus. Known for its intense and devoted sports culture, the university wanted to make sure it was securing its athletic facilities with an effective, high-tech and convenient security solution. In 2010, the Atlanta office of Convergint Technologies installed biometric hand-readers in the newly-built Auburn arena. However, it would soon learn the downfalls of using that specific type of biometric solution with athletes. “We were having tremendous problems with the system, especially with our basketball players, because they have huge hands. We had to have a custom hand reader, but even that wasn’t great,” says Jeff Steele, associate athletic director of facilities and operations, athletic department at Auburn University. Student-athletes would also sometimes injure their fingers during practice, causing them to swell. “It would throw the reader off so that it couldn’t identify them. It became such a problem that the student-athletes and coaches started blocking the doors open, which defeats the whole point of having a system in place,” he says. 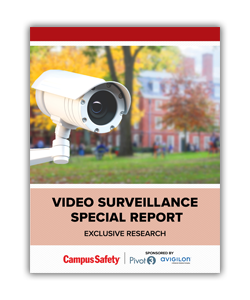 The university held a focus-group meeting a year later to discuss future planning for safety and security and settled on employing an iris-scan reader after a presentation from Princeton Identity (PI). 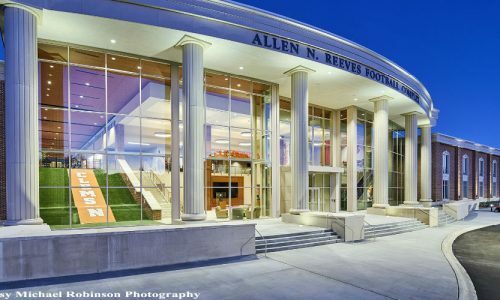 As of early 2018, in addition to Auburn Arena, nine additional areas had been added to the system, including the soccer and track buildings and the locker rooms for the men’s and women’s track, baseball, volleyball and soccer teams, as well as the locker rooms of those teams’ coaches. Access rights are managed through a Lenel OnGuard access control platform, which integrates seamlessly with the PI system. “When students leave a team or graduate, we just change their permissions and turn off their access. We’ve had some coaches and students leave and then come back a few years later. We haven’t had to re-enroll them. The system still recognizes them because their eyes don’t change. We just reactivate their permissions,” explains Rob Stanford, facilities management technology specialist at Auburn University. The PI iris solution is fully scalable, capable of holding and differentiating between thousands of enrollees, including students who are on the teams, student trainers and managers, coaches, and others with job functions requiring access to the regulated areas. 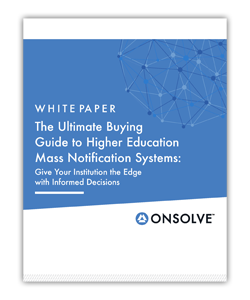 The system has a dashboard that displays the status of all the readers on campus, spread across multiple buildings, and can be configured through a single interface for the entire enterprise. Last summer, PI upgraded Auburn to its Identity Software (IDS) that manages the new generation of enrollment and access readers, and also upgraded the enrollment readers to the newest Access200e devices. “The enrollment software is now completely web-based, and the new enrollment camera, the Access200e, is a separate unit that doesn’t have to be hooked up to a computer with special drivers and configurations … Now, we can bring a laptop or tablet, and the new portable enrollment camera, over to wherever the team happens to be, and we can do the enrollment right there,” says Steele. Auburn was able to keep the original PI system, giving them the ability to utilize the new software without swapping out the earlier generation of door readers. Stanford can manage the legacy N-glance readers just the same as the newer Access200 readers. Stanford says they will eventually swap out the older N-glance readers with the newer models. Efficiency and security aren’t the only things these iris readers offer. You can also think of them as a recruiting tool. Steele says that during campus tours for prospective students and their parents, the reaction to the PI system has been overwhelmingly positive. Florida Atlantic University (FAU) needed to secure a new building that is part of the Charles E. Schmidt College of Medicine, a facility which houses research, administration and a medical clinic. Requiring a robust access control system that enables the integration of video surveillance and the ability to partition access to specific areas of the facility, FAU selected Software House‘s C•CURE 9000 to manage student access to classrooms and laboratories. This ranges from 24-hour access to the building to limited facility access during examination time. The solution also allows the university to restrict access to medical record rooms, the pharmacy and other sensitive areas. 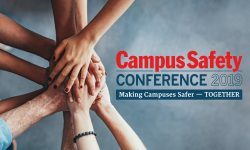 According to Patrick Garmon, director of security technology for FAU, it was important to implement a system that enabled the university to manage student access to buildings by floor and room, not just to restrict overall building access. The LaHaye Fitness and Recreation Center at Liberty University’s Lynchburg, Va., campus occupies approximately 165,000 square feet, houses five basketball courts, an indoor track, a weight room, group exercise classrooms, racquetball and volleyball courts, soccer fields and a rock wall, in addition to a lounge and cafe. 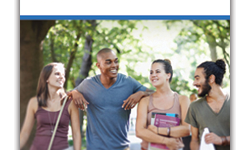 Every student enrolled at Liberty University is provided with an identification badge with embedded access control credentials to gain access to various Liberty facilities. 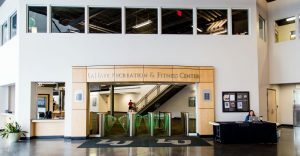 The access control solution, provided by RS2, allows students to use one universal card throughout the campus, including LaHaye Fitness and Recreation Center. Previously, entry at the rec center consisted of Liberty students handing their badge to a staff worker, who would swipe it for verification, and then allow the student into the facility. That changed when the university outfitted the rec center with four lanes of Speedlane 300 optical turnstiles from Boon Edam to control and document the approximately 30,000 users who enter the facility every week. Installed by Wake Forest, N.C.-based Mech-Elect, the solution features three lanes dedicated for entry and one for egress. Liberty is looking to expand the LaHaye Fitness and Recreation Center by opening satellite facilities around the campus and plans on once again turning to the Speedlane optical turnstiles. Located in Orlando, Fla., the University of Central Florida (UCF) was struggling with the costs and complexity of managing 58 standalone servers, 12,000 individual access points, hundreds of video surveillance cameras and a diverse range of DVRs. Fortunately, UCF found Pivot3’s HCI platform, which gave the university robust video surveillance data protection, improved remote access to sensitive and critical data from any device, streamlined management for all their campus safety and security IT systems, and support for additional data center workloads as they grow. 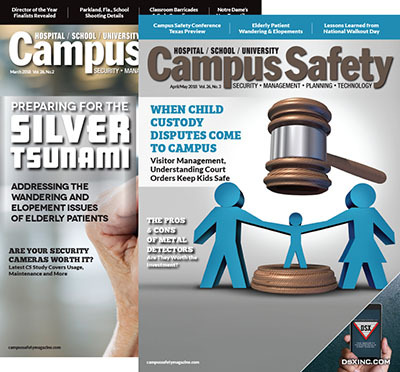 Installed by Signature Systems of Florida, the HCI platform was able to streamline video management and storage capabilities by hosting UCF’s Milestone XProtect VMS, and server and storage management on a single platform. In addition to hosting Milestone System’s VMS, Pivot3 also captures and protects video data from 2,500 video surveillance cameras and supports up to three petabytes of storage. 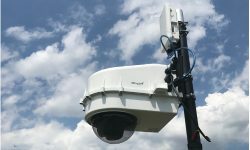 Pivot3 says its ability to easily scale to this level was a key criterion in UCF’s selection process as its demand for more cameras and video data storage capacity continues to grow. The UCF camera count is expected to rise to over 3,000 when the university’s downtown Orlando campus opens in the fall of 2019. 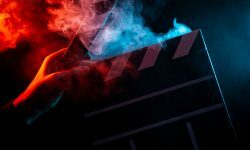 Late last summer, the Louisa County Public Schools (LCPS) District in northern Virginia completed the installation of a district-wide Vicon Valerus video management solution that encompassed its six school buildings and connected nearly 400 cameras. Additionally, LCPS installed WiFi throughout the district, so that in the case of an active shooter, law enforcement can visually assess the situation and attempt to locate the suspect prior to sending in officers. Szalankiewicz says the video solution also offers a number of operational efficiencies. Because it is a rural district, the school is subject to frequent power outages and major snowfall throughout the winter. With Valerus’ mobile interface and the ability to access the system from anywhere, Szalankiewicz doesn’t need to make the trek to campus in potentially dangerous weather just to check on its status. “The system has saved me countless hours. In the past, if we had a snowstorm, I used to have to drive to school to see if the power was on and how much snow had fallen. Now, I can just log into the cameras, see what’s happening, and determine if we’re good to go,” he says. Having a solution that includes easy-to-use search tools can also result in saving valuable time. “We’re using the search tool to find incidents at least once a week, if not more. Whether it’s an event on the playground or a car that drove onto the lawn, there’s always something happening. With Valerus, it’s so much easier to find what we’re looking for. We use the search tool to “paint” certain areas within a camera’s view, and Valerus automatically shows us video clips of anything that happened in that particular spot. It’s made us a lot more efficient,” he explains.